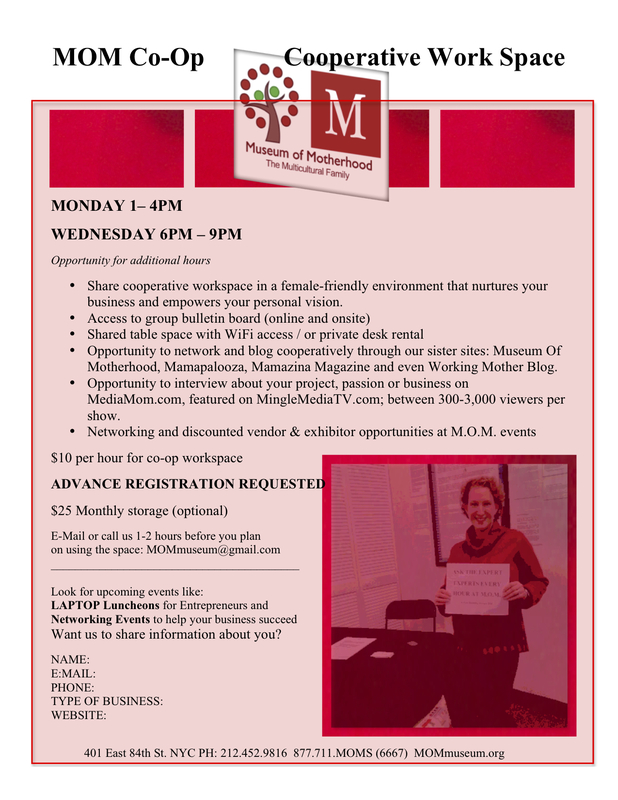 ← Sexuality & Motherhood Conference Monday, Feb. 6th At M.O.M. This entry was posted in MamaFeature, Mom-preneur, Business, $, Marketing, Making IT and tagged Cooperative Workspace, Mom Cooperative, Workspace by the hour. Bookmark the permalink.